Each month in TAP, we select a Movie of the Month to help prepare our students for their overseas trip. 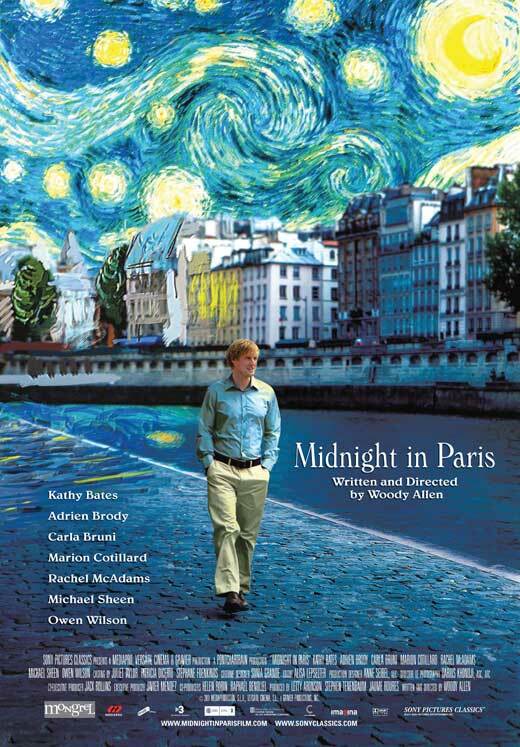 This month we’re starting to prepare for our 2016 adventure in France and the Benelux countries, so we’ve selected the Woody Allen film, Midnight in Paris, to watch first. The big question, of course, is what is this movie about? Well, this is one of those movies that is just about so much. First, it’s about the idea that being somewhere else is better than being here. That’s an idea that’s near and dear to TAP’s heart, and it’s one of the reason why we’ve continued to travel the world with students for the ten years now. It’s not that home is a bad place, it’s that home isn’t the only place, and history books aren’t the only way to learn. In the movie, an American author named Gil Pender (played by Owen Wilson), who is vacationing in Paris while trying to complete his novel. In the movie he visits a bunch of places that we’ll see on our trip (the Palace of Versailles, Monet’s gardens in Giverny, the used book stalls along the Seine River, Notre Dame, and the Eiffel Tower) and many places we could visit during our free time (The Musee de l’Orangerie, the Rodin Museum gardens, and the Moulin Rouge). Gil’s trouble is that creatively he’s stuck, but suddenly he’s magically transported back in time to the 1920s in Paris. In TAP, we’re lucky enough to travel the world, but how amazing would it be to travel the world and visit different time periods too? That’s what Gil gets to experience. It’s also sort of about the famous question, “If you could have dinner with any three people from history, living or dead, who would you choose?” Gil gets to experience that. The 1920s in Paris was a time in between WWI and WWII when authors and artists from all over the world settled in the City of Lights, forming an incredibly creative community we call The Lost Generation. Gil gets to meet authors like Fitzgerald, Hemingway, Stein, Faulkner, Barnes, and Eliot along with artists and musicians like Dali, Cole Porter, Picasso, and Matisse, who hung out and talked about art and literature while sitting in cafes, drinking in bars, and dancing the night away in Paris’ hottest clubs. What better place for Gil to get transported to? It’s also about the very simple idea that there’s just something magical about Paris. I’ve been lucky enough to travel to a lot of places, but there is no place that has quite the same magic as Paris. You guys will know that soon. There’s just something unbelievably special about Paris, and I’d be a fool to try and put into words what that is. Far greater writers than me have made that effort and have failed, so you’re just going to have to wait and see what that feeling is like first hand next year. For the time being, though, you can watch Gil travel back in time, meet his idols, and stroll through the magical streets of Paris. Every time I’ve been to Paris since seeing this movie, I can not help but hope a magical limo will transport me to different times in Paris’ past. This movie, unlike any other, captures a little bit of that magic that you feel what strolling through the City of Lights. Sometimes you watch the perfect movie at the perfect time of your life and the story hits you just right. In 1992, The Power of One was that movie for me. The world of the late 1980s and early 1990s was a world of constant change. In 1989, a student revolution erupted in China, and for the first time, I found myself strangely connected to something happening on the other side of the world. I don’t know why the story of the tank man of Tiananmen Square struck a nerve, but it was the moment I started to become politically aware. I began to see that Eastern European countries were slowly fighting for their freedom from the Communist machine that had been keeping them down for decades. The Soviet Union, who had been the big, bad, scary threat in the world since long before I was born, finally crumbled. The Berlin Wall fell. Terrifying, but mysterious and fascinating things, were happening in places I wasn’t even sure where they were – Nicaragua, Liberia, Libya, Kuwait, Bolivia… The world was on fire, and I was engrossed. Then I saw The Power of One, and I can’t fully explain the impact this movie had on me in 1992. I suddenly felt so sheltered and alone and helpless. Before then, I thought I’d been getting the hang of the changing world, understanding who needed help, knowing who was the good guys and the bad guys. I thought I was aware and astute, but that movie opened my eyes to how little I knew. Until The Power of One, I’d never heard of Apartheid. I had no idea what was going on in South Africa. As aware of the world as I had become, I still knew nothing. I’m hoping that for each of you, The Power of One opens your eyes to the way South Africa was in the middle of the 20th Century. It wasn’t as simple as black and white. The racism, the inequality, the anger, the fear… The world isn’t simple and clean with a line down the middle to show you good on one side and evil on the other. The Power of One is all about that gray area. Ladysmith Black Mambazo are probably the first South African musicians anyone here in America ever heard. It should come as no surprise to anyone that I think music is one of the most important forms of expression ever. In all of my travels and research, music figures heavily and I make a point to find musical experiences wherever I go. As a musician, I can’t help but listen to and analyze the chord structures, intervallic tendencies and cadences of music that are typical for any locale. I marvel at the differences in instrumentation and vocal qualities to be found in foreign lands. Of course, the similarities are often surprising as well. When we were in Krakow, I enjoyed a jazz club with our TD, Michael. Jazz is a very American style of music that can be heard in many other countries, South Africa included, but is often embellished with localized stylings. In Japan, TAP attended a fantastic Bunraku performance. Like many other theater productions, live musicians provided a soundtrack to augment the onstage action. However, the sounds we heard were unlike any other I had experienced in theater and helped make the performance, for me at least, a quintessentially Japanese experience. To prepare for any travel, whether it is with TAP or not, I create a playlist to help get my mind ready for the new experiences I will encounter. Some pieces I choose because they are local favorites. Others I include because they remind me of previous experiences with travel or the culture I will be exploring. And sometimes, I pick music just because it is fun and exciting for me. Here are a few of my favorites from my South Africa playlist. Don’t let anyone tell you that sports aren’t important. Too many people make that claim. I have a friend who claims that sports are a waste of time, and there are many more important things to focus our energies on. I see his point sometimes. This weekend’s Hawks game isn’t life or death, I probably shouldn’t want to cause bodily harm to my neighbor just because he likes a different baseball team, and March Madness shouldn’t really come down to real madness. However, sometimes I see the exact opposite point. Last summer we walked through the streets of Munich the afternoon of a World Cup soccer game. The excitement in the air, the pride in their country, the flags waving, the face paint, the noise and energy. That game meant something. Sitting down in a beer hall in Munich that night, while the Germans took the field, that was incredible. There was something palpable in the air that night. The pride in Ireland was the same. We visited Croke Park, the home of the Dublin hurling club. There, it was explained to us that Irish athletes aren’t pros. They don’t get paid. They play for the love of the game, and hold down real jobs to pay the bills and feed their families. The coolest part is that Irish athletes, whether it’s hurling, Gaelic football, soccer, or rugby, only play for their home county clubs. No matter where in Ireland life or career takes them, you only suit up and play sports for the region you grew up in. That kind of regional pride was amazing to watch. On a very basic level, baseball in Japan, at least on the field, looks just the same as it does here at home. In the stands, it’s a whole different game. Drums, horns, giant flags, chants and songs for every batter, balloons and post game dance parties. It was surreal, but you could see that the outcome of that game really mattered to those fans. It meant something. Keep that in mind while you’re watching Invictus. Sports do matter. They do mean something. 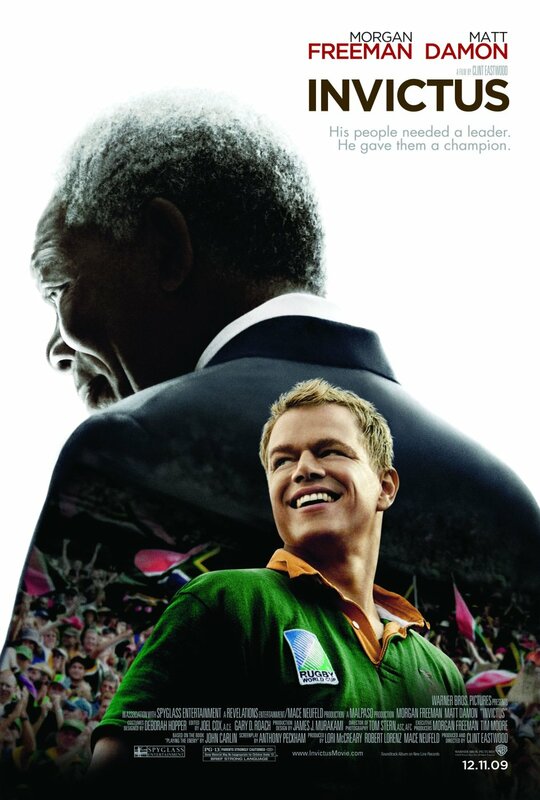 This movie, based on the true events of the 1995 Rugby World Cup, proves that. When Mrs. Harig started to think about what was missing, it became clear to her that it was simply the everyday lives of people in South Africa. Some of the stuff she covers in this presentation are some of the fun little things about traveling. The only time I’ve gotten to visit a school in a foreign country was in China, and it was an unforgettable experience. Strange road signs aren’t something most travelers think about before arriving in a new place, but the “Humped Pelican Crossing” sign I saw on my first day in England and the “Road Unsafe When Underwater” sign I passed in Arkansas will both forever baffle me. Beyond that, it’s always a good idea to know how to greet someone, what the local customs are, and how to make sure you haven’t grossed anyone out by using your chopsticks left handed. While scrolling through the slides, take some notes down about what stands out to you as unusual or different, then try to think of what reminds you of home. About halfway through the presentation, Mrs. Harig asks you to watch a video, which is also embedded below. Then she asks that you read through this page to give you even more differences and similarities between your lives and those of South African teenagers. When you’ve read through everything, come back here and use the comments to give your two cents about Mrs. Harig’s discussion points. 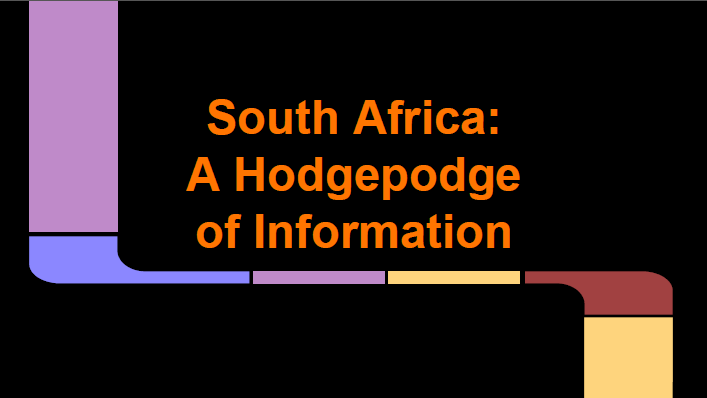 Pick two of the topics discussed and identify ways their society is similar to AND different than our society in the U.S.
We ask that all South Africa travelers have this assignment complete before our April 11th meeting. Vincent and Jules hooked me on the idea of checking out foreign fast food places. Vincent: And you know what they call a… a… a Quarter Pounder with Cheese in Paris? Jules: They don’t call it a Quarter Pounder with cheese? Vincent: No man, they got the metric system. They wouldn’t know what the @#%& a Quarter Pounder is. Jules: Then what do they call it? Vincent: They call it a Royale with cheese. Jules: A Royale with cheese. What do they call a Big Mac? Vincent: Well, a Big Mac’s a Big Mac, but they call it le Big-Mac. Jules: Le Big-Mac. Ha ha ha ha. What do they call a Whopper? Vincent: I dunno, I didn’t go into Burger King. If you were living under a rock in the 1990s, or weren’t born yet, that’s an exchange between two hit men in Quentin Tarantino’s 1994 classic, Pulp Fiction. If you’re anywhere near my age, Pulp Fiction was probably one of the most quotable movies of your college years, and if you’re not – then when you’re old enough, you should definitely check out this brilliant film. (If you still ride a school bus, you’re not old enough yet). 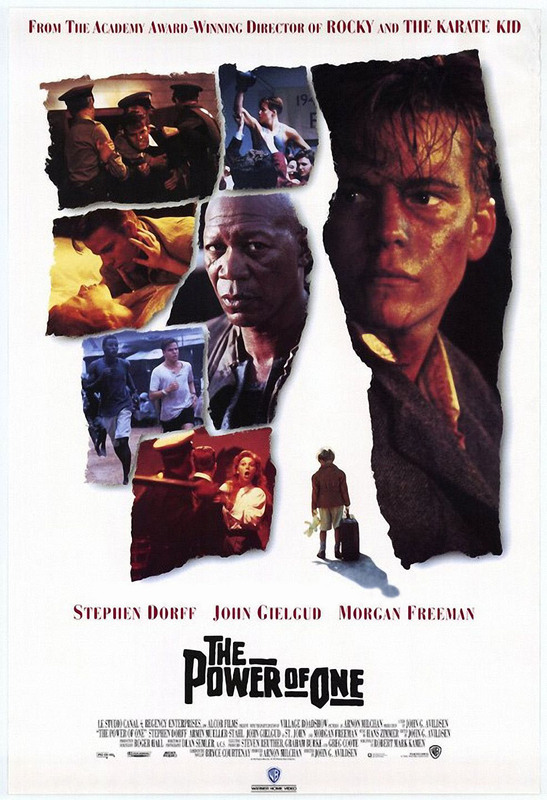 Considering this was a short scene in a violent movie about drug kingpins, murderers, and a washed up old boxer, it had a tremendous impact on my life as a world traveler. The first time I left the good ole U.S.A. was the year after Pulp Fiction became a pop culture phenomenon. I was a junior in college and about to spend a good chunk of the school year studying abroad in England. The first time I met the other kids I’d be traveling with, one of the first conversations we had about plans for the semester overseas was going to Paris… not to see the museums, the Eiffel Tower, or to eat a baguette, but because all of us wanted a Royale with cheese. Eric at the Cliffs of Moher last fall. 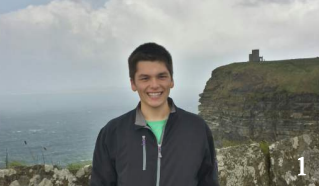 Eric Hugenberg is a former TAP student he traveled with us on our 2009 adventure in Italy. He has many fond memories of the trip, but what makes the TAP teachers most excited is that his time with us seemed to trigger an addiction to travel. He’s been to many amazing places since his going to Italy with us in 8th grade, and he’s agreed to share some of his experiences below. Hello fellow Minooka TAP members! My name is Eric Hugenberg, and I traveled to Italy in 2009 with Minooka TAP. Right now, I am a sophomore at Creighton University in Omaha, Nebraska where I am studying to be a pharmacist.